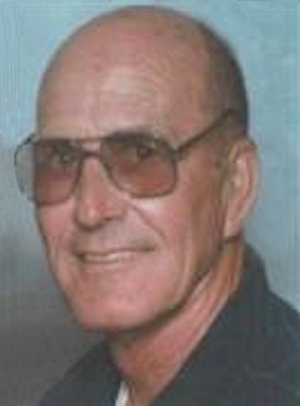 Obituary – Billingsley, Gary W. « Perry High School Alumni Association, Inc.
Obituary – Billingsley, Gary W.
Gary W. Billingsley, 72, of Perry, passed from this life on Friday, February 1, 2013. Services are under the direction of Palmer Marler Funeral Home of Perry and will be held at 10:30 A.M. on Wednesday, February 6, 2013 at the First United Methodist Church (727 Elm St.) with Reverend Michael Strange presiding. Burial will follow at Grace Hill Cemetery at a later date. Gary was born on October 29, 1940, to Earl and Anna Billingsley in Stonewall, OK. Soon after, the family made their home in Perry where Gary was raised and educated. He graduated from Perry High School in 1959. On April 3, 1964, Gary married Janice “Jan” Moore at the First United Methodist Church. Their union would last 48 years until his passing. Gary was a lifelong member of the First United Methodist Church and served on various committees there. He was also a volunteer firefighter for the City of Perry. When not working in the oilfields or running his electrical contracting business, Gary could be found fishing. His favorite hobby, however, was spending time with his children and grandchildren. Gary will be remembered for his love of working with his hands and on anything. He was known to family and friends as the man who could fix anything you gave him. Gary is survived by his wife Jan of the home; three children, Darren Billingsley and wife Tammy of Perry, Dana Eckhart and husband Brian of Stillwater, and Dawna Hughes and husband Tracy of Tonkawa; grandchildren Josh Billingsley, Jordan Billingsley, Sydney Eckhart, Zack Eckhart, Emily Eckhart, Bailey Hughes, and Parker Hughes, as well as a host of other relatives and friends. Gary was preceded in death by his parents and one brother, Ralph Billingsley. Memorial Contributions in Gary’s honor may be made to the First United Methodist Church (727 Elm St., Perry, OK 73077) or the American Cancer Society c/o Palmer Marler Funeral Home.